An expensive watch is a prized object representing status and wealth. As the popularity of watch collecting expands from the original ranks of royalty and becomes popular among business men and industrialists, the market for sales has broadened. Whether you are a collector or simply own an expensive watch, many avenues exist to ensure you get the best price when selling your beloved timepiece. Create an account on a specialized watch website such as TimeZone, a legitimate website with a strong following in the watch collecting world. Not only can you post ads to sell your watch online, but you will find informative articles about a variety of watches and the watch industry as a whole. Confirm the value of your piece. Determine which area on the website would be the appropriate area to sell your watch. On the TimeZone website use the “showcase” page for watches with a value of over $5000 and the “sales corner” for anything below $5000. Place an ad. TimeZone requires that a watch be pre-owned and worn. List your item with its name, asking price and condition (mint, excellent, very good or sold as scrap). Follow the website's guidelines for grading the watch. You may not sell altered watches or replicas. Be sure you have the complete box and papers, including factory warranty and certificate of authenticity. Contact any prospective buyers through personal messages or phone calls and make arrangements for the sale. Choose an auction house. Most auctioneers charge a ten to fifteen percent commission for selling a watch. Ship your watch to the auction house. Buy insurance for the package or deliver the watch in person to ensure safe arrival. Sign the contract between you and the auction house. Make sure to read any fine print. The contract will outline all details of the transaction, including reserve price, fees and transactions, conditions of sale and the estimated value of your piece. Wait to hear from the auction house. You will receive notification when the watch is sold. Depending on auction house policies and how fast the buyer pays, you should receive a payment up to 45 days after the watch is sold. Be exact when writing the ad description. Include as much detail as possible. 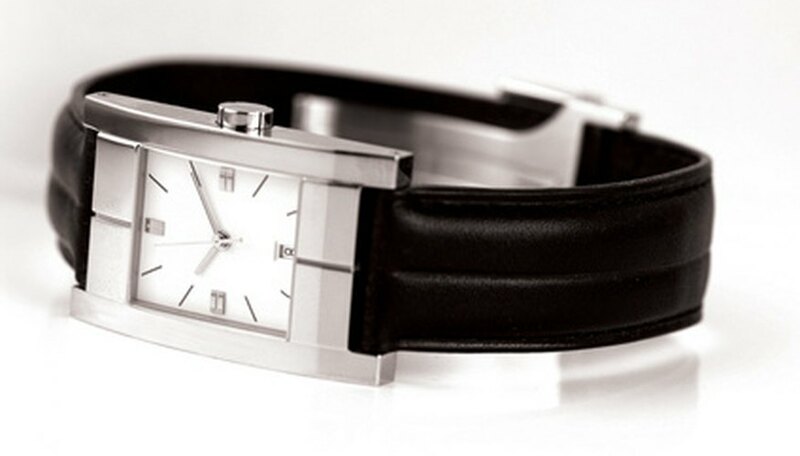 Beware of fraudulent transactions when using forum websites to sell a watch. Auctions sites like Ebay offer a good alternative for selling a watch, but most buyers are hesitant to purchase an expensive watch online. Little protection is available for the buyer if the watch is a fake.